Scientists have shown for the first time that embryos can be made from non-egg cells, a discovery that challenges two centuries of received wisdom. Eggs can be 'tricked' into developing into an embryo without fertilisation, but the resulting embryos, called parthenogenotes, die after a few days because key developmental processes requiring input from sperm don't happen. 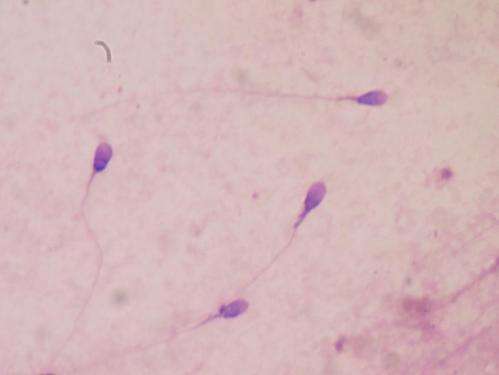 Molecular embryologist Dr Tony Perry, senior author of the study, said: "This is first time that full term development has been achieved by injecting sperm into embryos. "It had been thought that only an egg cell was capable of reprogramming sperm to allow embryonic development to take place. "Our work challenges the dogma, held since early embryologists first observed mammalian eggs around 1827 and observed fertilisation 50 years later, that only an egg cell fertilised with a sperm cell can result in a live mammalian birth." The idea was the brain child of Dr Toru Suzuki in Dr Perry's team in the University of Bath's Laboratory of Mammalian Molecular Embryology, who performed the study together with team member Dr Maki Asami and colleagues from the University of Regensburg and the Fraunhofer Institute for Toxicology and Experimental Medicine in Germany. Dr Paul Colville-Nash, from the Medical Research Council (MRC) who funded the work, said: "This is an exciting piece of research which may help us to understand more about how human life begins and what controls the viability of embryos, mechanisms which may be important in fertility. It may one day even have implications for how we treat infertility, though that's probably still a long way off." More information: Suzuki, T. et al. Mice produced by mitotic reprogramming of sperm injected into haploid parthenogenotes. Nat. Commun. 7:12676, DOI: 10.1038/ncomms12676 (2016). So these are clones of one individual, right?